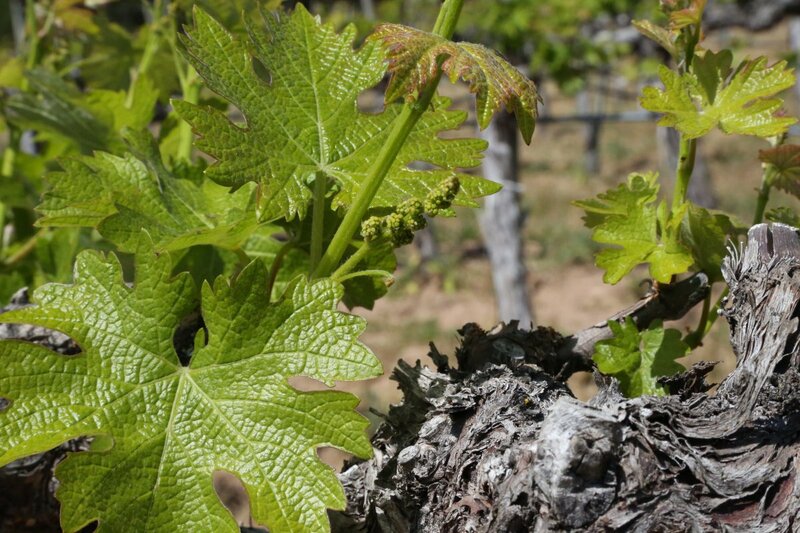 Voces Cellars is owned and operated by Fernando Candelario. We met up with him at Regusci Winery. His parents immigrated from Michoacán Mexico in 1979, a region of the country that a number of Mexican-American vintners in the Napa Valley are originally from. Sometimes you don’t know what path life will lead you on – Fernando certainly was not on a career path to become a winemaker. He came to the valley in 1984 and soon after arriving started school. After a few years he took a job at Robert Mondavi Winery in the cellar where for the next seven years he gained invaluable wine making experience. His next job took him to Calistoga where he worked for Greg Brown who he refers to as the “maestro”. At that time Greg was the owner of T-Vine Cellars. This is where Fernando learned much of what he applies today in the cellar (boutique winemaking) – working closely with Greg and making wine with a number of varietals. He also started making Voces here with his first commercial vintage released in 2002. Fernando was also the primary winemaker for T-Vine Cellars for many years. Voces is Spanish for “voices” representing what Fernando feels passionately about – through a collaborative effort of working together and community involvement, dreams are always possible. You do something for yourself, yet at the same time your actions benefit others – always with the community in mind. Fernando and Voces Wine are one of a select group of charter members for the Napa Valley Mexican-American Vintners Association (NVMAVA). 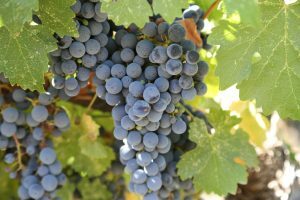 In early 2010, a number of Mexican-Napa vintners were invited down to Morelia Mexico for a wine tasting and the absence of a Mexican-American Vintner association was discussed. Upon returning stateside a number of mostly Napa owned vintners formed this association. Their goals are to promote their own wines, support Mexican Americans in the wine industry and provide a forum for wine education. Voces focuses on several wines each year, each 100% varietal – a Cabernet Sauvignon and a Petite Sirah along with other limited production bottles on Grenache and Zinfandel. Fernando wants to best express these varietals and his wines are 100% varietal. 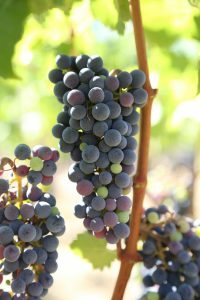 Based on the connections and experience he gained working at T-Vine Cellars in Calistoga the source for his grapes are from the Calistoga appellation. He likes to source and blend the same varietals from both valley floor and hillside vineyards. His primary source is the historic Frediani Vineyard (they have been growing grapes in the Napa Valley for more then 100 years) and their fruit is highly sought after. He also sources from select other vineyards in the Napa Valley. Fernando’s winemaking style is straight forward – a short cold fermentation to extract color, tannins and flavors followed by a fermentation to dryness. Once finished with fermentation, the wines often under extended maceration and then the free run wine goes straight to barrel. The remainder of the must is then put into a bladder pressed and lightly pressed. This wine is kept separate from the free run and during blending trials prior to bottling, Fernando will blend a small portion of the pressed wine to help add structure to the final blend. All secondary fermentation takes place in the barrels. Fernando uses a combination of both American and French Oak with aging lasting for 12-18 months. Prior to bottling, the wines are fined using egg whites (removing small particules still suspended in the wine). Rather then age the wines in bottle for the normal 6 months to a year before release, Fernando keeps the wines in bottle for 2-4 years before release. The 2006 Voces Cabernet Sauvignon has an opulent nose. The influence of the American oak shows nice notes of baked cinnamon and other pleasing spices often associated with the winter holidays. The mouth feel is fairly soft and rounded. The tannins are medium bodied, dry and slightly dusty but not overly so. The finish is clean with lingering notes of coffee bean. The 2006 Voces Petite Sirah is dark and inky in the glass – as this varietal should be. As in all his wines the acidity is natural from the vineyard. This wine is certainly about the fruit on the bouquet and the palate. Aromas of luscious ripe dark fruit including black berry and black cherry show and as the wine develops, pleasing notes of chocolate and cinnamon come forward – there is even a hint of sage. The mouth feel is soft and supple upon entry but quickly gains in complexity towards the mid palate with flavors of ripe plum. The finish is anchored by rounded well-managed lingering tannins. Hello! Last year was my first trip to CA and went with my husband to celebrate our 25th anniversary, One of our last stops was to ship back wine we had bought. In the depot station, your wine was suggested to us and we bought a bottle to try. Loved it! We are coming back and I can’t find any info on stopping by your winery. That is very nice that Tom Pelter mentioned Voces – great to support small producers such as Fernando who has been making excellent wines under the radar for many years. Please call us at 971-978-9565. We have bought wines from you 2 years ago & will be in your area Jan. 21st.